Are you enjoying the current good weather ? We’re thinking about weather at our next Messy Church, but something less pleasant – Hurricanes ! 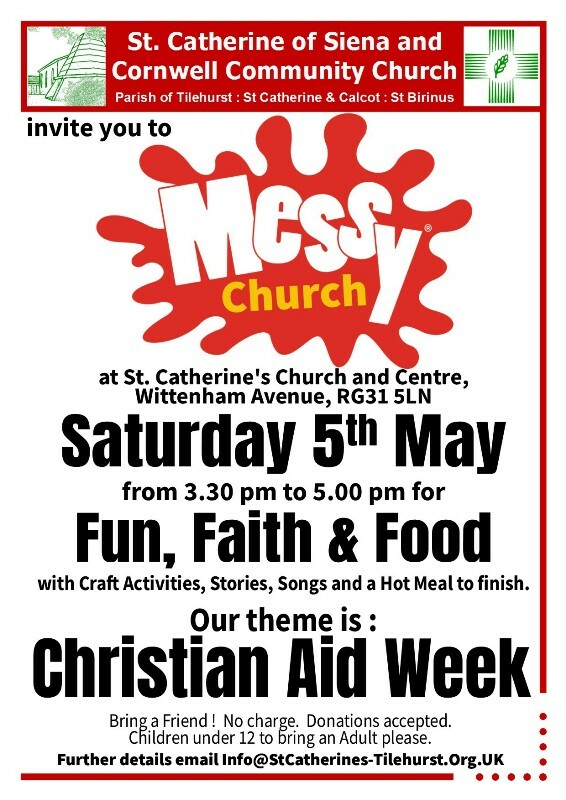 Our next Messy Church is this coming Saturday 5th May, which is close to this year’s Christian Aid week (13th – 19th). We’re looking at how Christian Aid helps people less fortunate than ourselves – such as those in Haiti who have recently been devastated by Hurricanes and Earthquakes. There’s lots we can do to help, and we’ll think about some of those while having our normal mixture of Fun, Faith and Food ! So please join us at St Catherine’s from 3:30pm on Saturday.